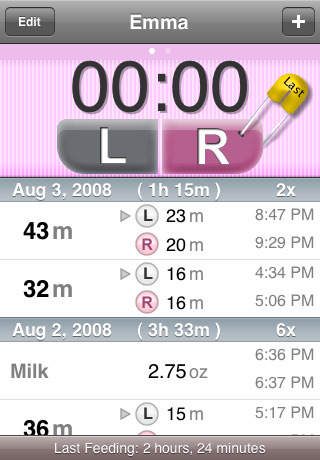 Baby Tracker: it helps you keep track of nursing sessions for your baby on your iPhone. It’s pretty flexible and supports multiple babies too. 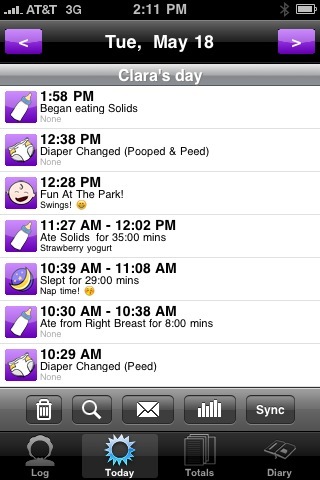 Baby Activity Logger: it has a very intuitive interface and helps you track all of your baby�s activities. Device synchronization over bluetooth is nice too. 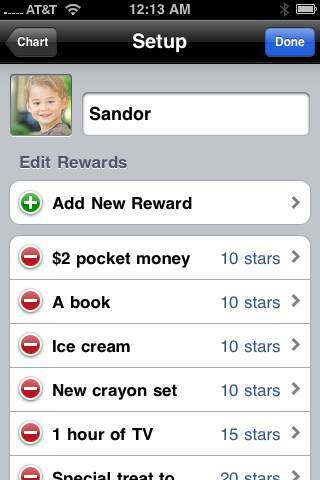 SitterCalc: if you are a busy mom or dad and want to have an easy to use tool to keep track of your babysitter’s work, this free app is all you’ll need. Baby Names Plus: the perfect name finder tool for parents-to-be. It has over 25K names for boys and girls. You can browse through names based on popularity and other factors. 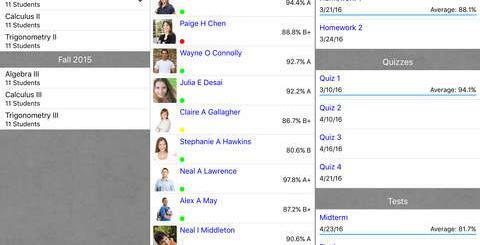 iRewardChart: an innovative application that lets you keep track of your children and reward them for completing the chores you have set them up with. 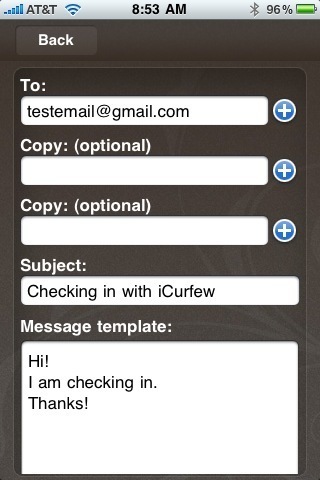 iCurfew for iPhone: nothing is more frustrating than having a child out doing things and not knowing where he/she is. This app solves that problem. 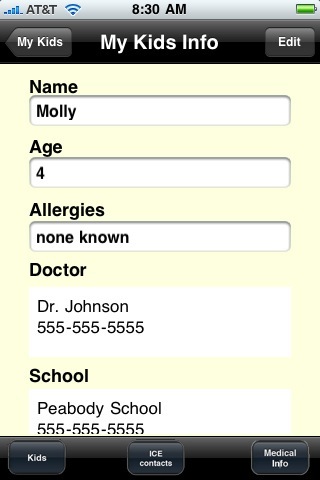 Parent I-C-E: enables you to store your emergency contacts, medications, medical conditions and allergies for you and your children on your iPhone. 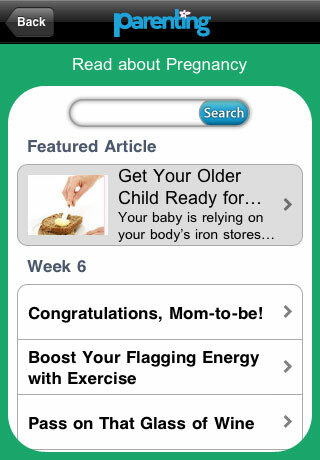 Parenting Ages & Stages: a free magazine that you can go through on your iPhone and pick up some useful parenting tips from. Being a good parent is always a challenge. 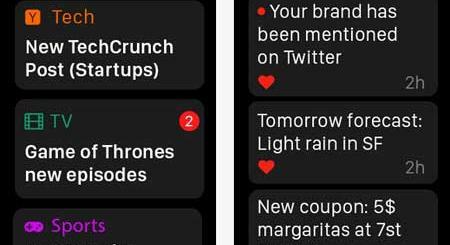 The above apps won’t do everything for you, but they do save you some time.